Want to make your online content attractive then you have to write with eloquence, clarity, awesomeness and expressive. 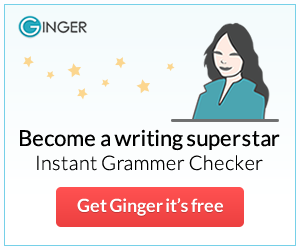 To do this you should go with any professional proofreading software. Via any proofreading tool, you can detect at least 90% of grammatical errors, make them grammatically accurate, and gives a readability analysis. 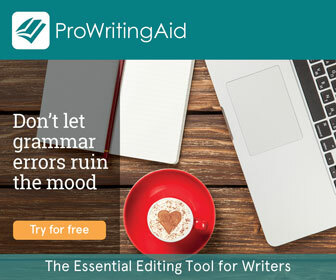 There are many free proofreading tools are available that scans and corrects grammar accurately. GradeProof is a proofreading tool that packed with an advanced AI, it is the only platform that has a Google Docs plugin. It’s highly complicated AI scanner is able to catch grammatical errors and boost the sophistication of your content. GradeProof is very popular among the world of writers because of its advanced coverage in scanning, scanning customizability, its plagiarism checker, and readability analysis reports. It offers both free and paid plans for writers, the free version is limited and doesn’t offer all the features that is provided by the paid plan. If you want to use this tool without paying a single penny then you can’t use plagiarism checking and limitation on the number of scans. GradeProof is perfect for uploading documents and Google Documents, it has only one integration i.e. Google Docs add-on. However, you can use this free tool for its readability reports and double checking prior proofreading. You can access GradeProof’s paid plan by paying $10/month. According to me, it is the cheapest proofreading software I’ve found. It is an advanced way for written perfection, GradeProof’s intelligent algorithms instantaneously correct and improves your writing quality. Via this tool one can easily fix all types of grammatical issues, and get rid of all types of embarrassing mistakes. Its world-leading and patent-pending technology will help you to analyze your choice of words and phrase structure, to boost the quality and flow of your content. Via this tool, you can easily add your written work, with the help of a feature to import email attachments or go with the cloud storage services like DropBox. If you want to do any kind of modification on your content then GradeProof will help you to do this, one can easily increase and decrease your word count according to your requirement. You can do payment via apple and it is auto-renewing. With the help of its advanced spelling, grammar and rephrasing suggestions will boost the quality of your writing. You can access GradeProof from any platform, such as: iPhone, iPad, Chromebook and on the web. Modify your GradeProof experience, simply by adding exclusive vocabulary to your own dictionary. One can easily increase or decrease the word count of your content using GradeProof’s targeted rephrasing technology. GradeProof’s premium Eloquence Engine will provide stylistic improvements, this will help you to make your content clear and easy to understand. You can also check your content for any kind of duplication, make sure that your content is unique by scanning for similarities with any previously online content. Note: You can use its paid plan for 7 days without paying a single penny. According to me, GradeProof is perfect for all types of writer and online marketers who are dealing with the content. If you are a young writer and need something that can help you to refine your documents and correct common mistakes. Its Pro version offers several features, Plagiarism Check is one of the strong features. It has an Add-on for Google Docs, this is a great expediency that sits directly in your Google Doc. Because of its refined interface, GradeProof is perfect for all types of user. If you are impressed and want to use this tool for your blog or online content then you should try this tool once, it is suggested to go with its free offer or 14 days trial period. If it suits to you in making your text content error free then you can subscribe for its pro version.